Recently I was in London catching up with an an old Australian friend over dinner when I mentioned I would soon be in Paris. 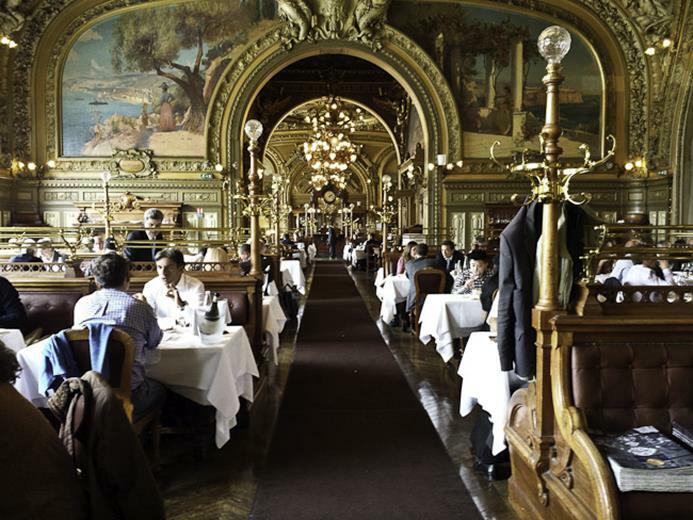 “Oh you must dine at the Le Train Bleu,” he said flicking through his mobile phone to show me images from when he treated his mother to lunch there. 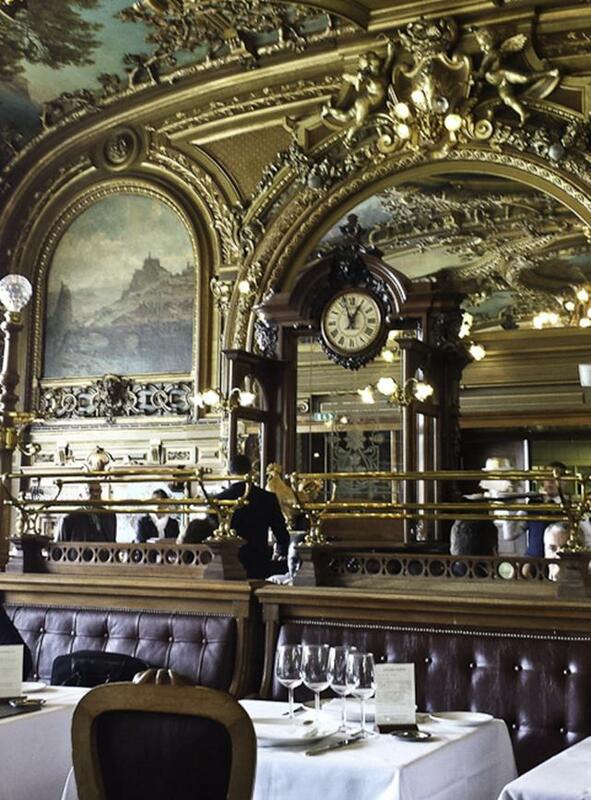 Having been to the Gare de Lyon numerous times I was a little surprised to learn of Le Train Bleu’s existence. Why hadn’t I ever heard of it before? 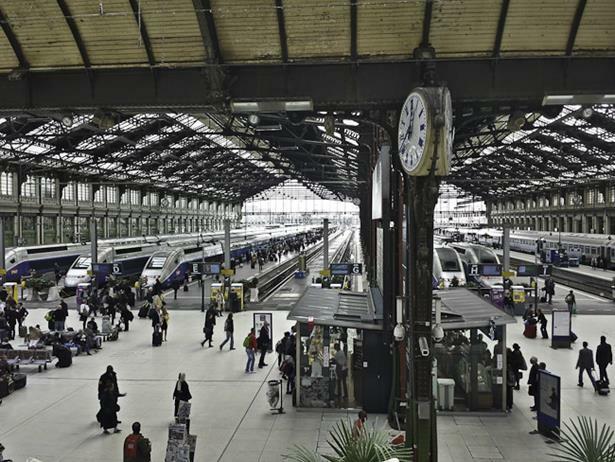 But I dutifully put it on the list of “things to do in Paris. 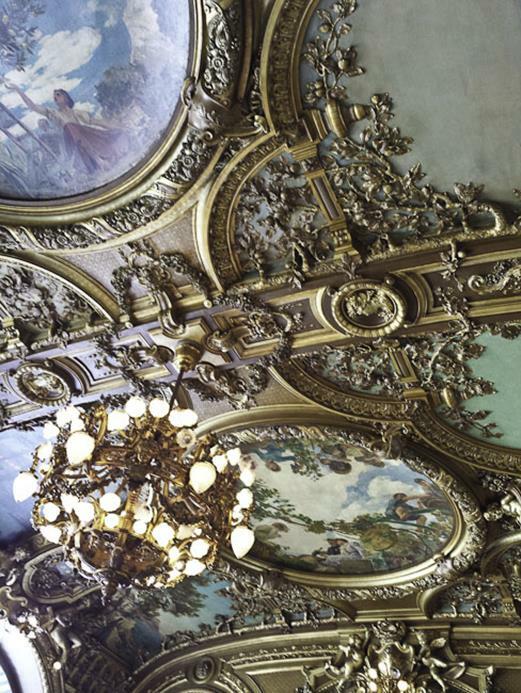 The Gare de Lyon in Paris seems an unlikely place for the location of a rare dining experience, and from the outside, Le Train Bleu reveals little of its opulent and somewhat overwhelming interior. The restaurant’s blue neon sign gives few clues about what lies beyond the doors. However, I defy anybody to walk inside for the first time and not be jaw-droppingly overawed by the opulent interior…yes for many it may be too much, but this is the Paris of La Belle Epoque: a time which brought the world the Eiffel Tower and The Grand Palais, a time which popularised venues like the Moulin Rouge and the Folies Bergère, a time when subtlety and understatement were not on the menu. Dining here is like thrusting yourself into a time machine that whisks you back to the early 20th century. It wouldn’t have surprised me if Hercule Poirot had popped up at the next table. 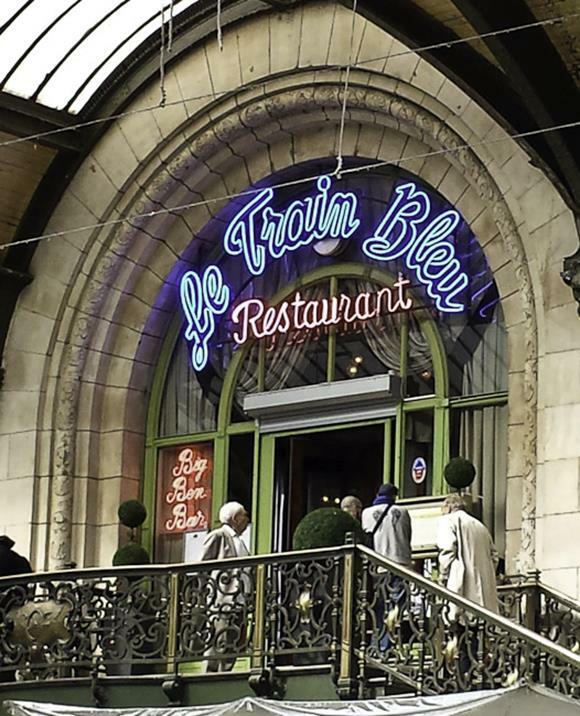 Opened in 1901 Le Train Bleu was originally known as “La Buffet de la Gare de Lyon”. 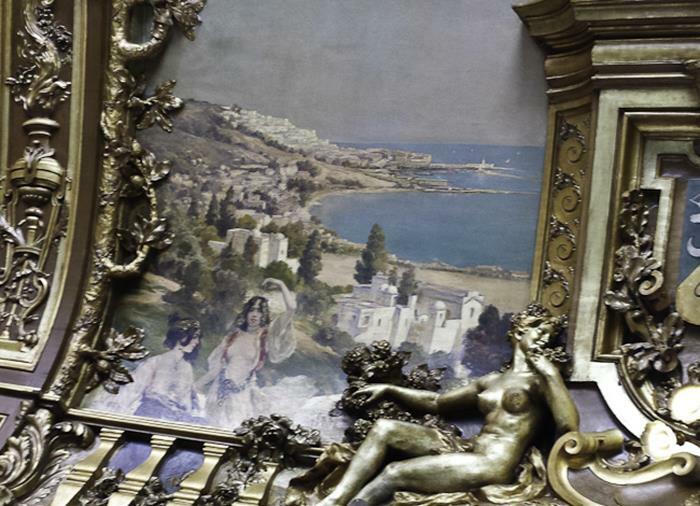 Its walls and ceilings, painted by prominent artists of the period, feature paintings that depicted the events of the time and the beautiful destinations accessible by the rail network. I know I enjoyed the food, but to be honest I don’t really remember much about it. To me the food faded into insignificance next to the sumptuous experience of just sitting there in the large dining room soaking up the surroundings. Definitely an experience I’d recommend although it’s not a cheap restaurant, but well worth it, in my opinion. I’m in awe of this place, Deb. It looks truly amazing! Thanks Diane…yes it was a rare and very memorable experience! Wow, what a “hidden” treasure! Thanks for uncovering it. You’re welcome, Marg. I’m just grateful to my friend Greg for telling me about this place…I can’t believe I’d never heard of it before!